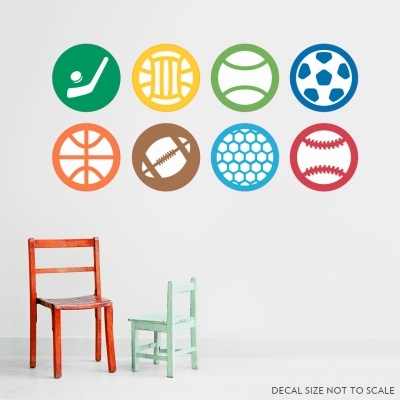 This Sports Sticker Color Pack Wall Art Decal would look perfect in any sports themed room! Assemble them as they come on the sheet, or arrange them on the wall however you like. Just peel and stick! Each decal is 12" in diameter, with the total assembled size as 26" wide x 54" tall.